The Doctors and Staff would like to know your opinion. Tell us about your experiences at Greenwood Lake Animal Hospital. We will post your comments here to share with our clients and friends. 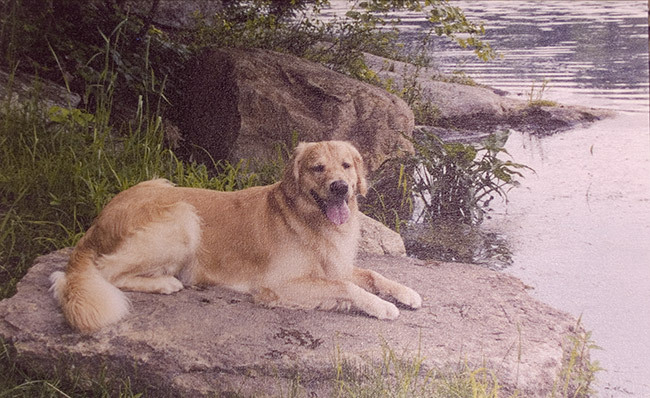 We want to thank you so very much for making the passing of Sandy (or as we called her, Sam) as easy as possible. It was such a hard thing for us to do, but you and your assistant offered such awesome compassion to Sam, as well as to us. We appreciate everything that you did that sorrow filled day and also all the years that you offered the utmost care to both Danny and Sandy. Our appreciation is greater than words can say. Thank you again to you and your staff. Dr. Streng has taken care of my cats for many years, when there is something really wrong with one of my pets, I will travel as far as needed to have her care for my pet. She is professional, compassionate and a lovely person. She remains current with her practice and I appreciate her proactive, holistic approach to their welfare. I know that my cats love her too. For small things I have used the vet near me, but now that I have medication to make the trip less stressful for the cats,I will be able to have her take care of all my cats needs. 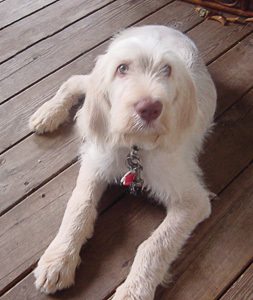 My dog had become very sick and after bringing her in to see Dr. Louer I had learned that she had immune mediated hemolytic anemia and lymes. To say the least I was very scared and worried, but Dr. Louer was amazing. He was not only great while examining my dog, but he explained everything thoroughly and answered all of the questions I had putting me a little more at ease. He is very compassionate and you can tell he really cares about the animals he treats. I had bring my dog back for check ups every two weeks for a few months and each and every time Dr. Louer was great. He went above and beyond to make sure my dog was OK, something that I am extremely grateful for! She is now back to her old self thanks to his care and instructions! Everyone that works at the office is extremely helpful and courteous. They too were concerned about my dog and always stopped to say hello to her whenever I brought her in. From the staff to the facility I can't be more pleased. I know that when I bring my pets in for an exam that they are in good hands and they are getting great care from great people. I would like to thank all of the staff for making my trips to the vet easy and worry free!! Although this animal hospital was a far drive for me, I continued to go there over the years because of the care my dog was given. When it was time to euthanize her, a very difficult decision for me, the staff was very accommodating and told me to come in right away, even though they had no appointments available. The vet Dr. Streng and tech that attended to my beloved dog were compassionate and allowed me to stay as long as I wanted to after she died, to say my goodbyes. Several days after she died, they sent me a condolence card and also called to let me know they had a clay paw print that they had taken of my dog. I highly recommend Greenwood Lake Animal Hospital. We have taken our pets to GWLAH for years. That the practice has grown to become such a large and renowned one is testament to its professional, knowledgeable vets and support staff. But it is a recent experience with a little bird that had fallen from its nest that truly showed me what a fine practice it is. Instead of dismissing my concern for this little unfortunate creature, Dr. Price, one of the four vets, told me she would take it to join other birds and the like that she was personally caring for. Hopefully, she said, it would soon gain enough strength to be released, as had others under her care. Dr. Louer, the practice's owner, volunteers his time and resources in our community. He made the papers in fact when he performed a successful procedure on a tranquilized bear! This sincere love of animals by all involved is shown by the importance placed on a little bird who was in a very fragile condition, even though they had other patients to see and it was late into the evening. I take my dogs and cats to GWLAH, and my pets have seen all four veterinarians. I have found each vet to be kind, compassionate and knowledgable, especially Dr. Streng, who we see the most. The vet techs and receptionists are also wonderful. 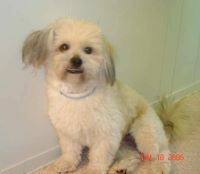 The hospital is immaculately kept, and I have always been satisfied with the care and treatments my pets have received. Great place. Great service. Great staff. It feels expensive but that is the cost of quality health care. You go anywhere else the cost will be the same. I want to make public my grateful thanks to Dr. Louër who took the pains to relieve our Frederick of this world when it simply became too much. Never have I been part of a sweeter, final exit for a beloved animal friend. And no one deserved it more than our Fred. Last in the pecking order always, because he just didn't care as long as everyone else was happy. Thank you, Dr. Louër, from the bottom of our hearts for his peaceful, serene departure from this crazy world. 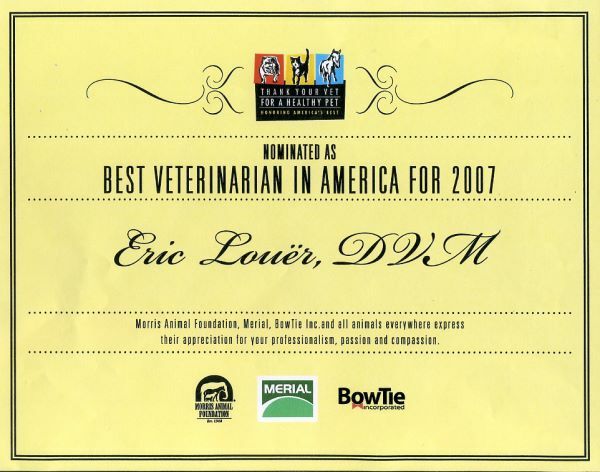 Eric has been our Vet since we had to have our two ferrets put down in Emerson over 15 years ago. When we moved up here and got our pups we were delighted to know we could count on him and the staff at GWLAH to care for our "kids"! We've had a few scares with Otis over the last few years and I don't know what would have done without Eric, Jessica, Trish, Ginny (AND O'Malley!) and all the wonderful staff who have tirelessly taken care of him through it all! Oh yeah, Dr.'s Streng and Price are pretty cool too! Sorry! Dr. Louër has been my veterinarian for 15 years. Dr. Louër, well, they don’t come any better! He has always been there for my animals and for me. I interviewed eleven veterinarians before finding Dr. Louër and I feel I never made a better decision in my life than choosing him. He is very conservative in giving shots and using medications and uses just what is necessary. Dr. Louër is extremely kind, gentle, caring and knowledgeable and I cannot say enough nor thank him enough for being there for me whenever the need. We've been using GLAH for years now. They are very informed and just as compassionate! Thanks for taking such great care of our pets! My family has been using Greenwood Lake Animal Hospital for 30 years, ever since we moved here from Bergen County. We were nervous when the past owners sold years ago, but were and are just as happy with the new owners and staff. We have had 2 dogs and 2 cats, all 4 received all of their medical needs from GWLAH. Staff has always been very friendly, informative, and always understanding, especially during a sensitive time. I have taken my pets to GLAH since the day it opened. Not only can I trust the doctors and staff for the finest care for my pets,but also very important to family, we know that they will care for their humans as well. They know their patients so well and love each and every one. The doctors and techs practice excellent medicine, and the staff is warm, friendly, and efficient. From day-to-day preventative care to emergencies, I have and always will trust GLAH with my babies and highly recommend it! The care and attention my pets have gotten here at GLAH over the years is superlative. They keep up to date on the latest in veterinary medicine, take extra precautions when administering treatment and have an open mind to alternatives. I completely trust their common sense, practical approach. I can't believe GLAH would get anything but good reviews. I have brought my dog there since moving to the area 7 years ago. Everyone there is knowledgeable, professional and extremely helpful. Just last night I had an emergency - (9PM on a Friday night). My dog got into the garbage and ate something very dangerous to her digestive system. Dr. Louer called me within 5 minutes, instructed me on what to do, and asked for me to call him back with the results. Everything turned out fine, thank goodness. I even got a followup call first thing this morning from the office. 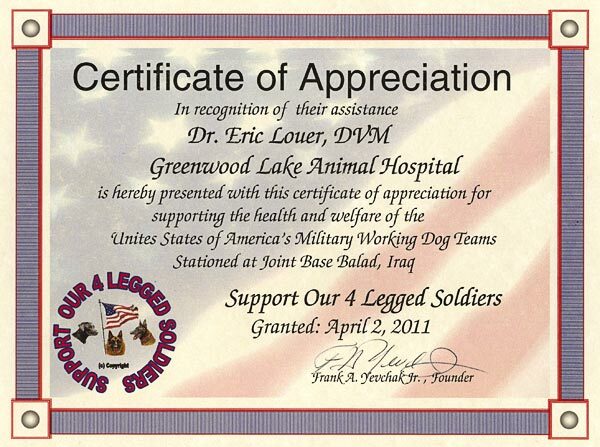 I don't know many vets or even medical doctors that are as dedicated to their clients. Thanks again Dr. Louer and staff! Wouldn't go anywhere else. Thank you again for your gentleness and soft manner you are very consoling and kind. Thank You for saving my life. You are truly sent from God. Thank you so much for making SYMBA'S life much happier. He has fully recovered and is out and about again. So good to see him enjoy his freedom again! 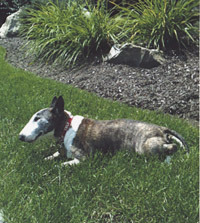 I would like to thank you for the paw print of our Annie who passed on July 7. The doctor and assistant were kind and sensitive to how we both felt. She was our family. I would like to thank all of you for the plaque with Chuck's name and pawprint. He will always be a treasured memory. We miss him very much but your kindness and everything you did and tried to do made things a bit easier. Dear Doctors and Staff, We are writing this note to tell you guys how appreciated you all are by Bob and I. Your caring and compassion for our Gizmo made a very hard decision that much more bearable. You all made us feel like we were not alone and I know one of her happiest moments was going to the vet, believe it or not, because you treated her with love. Although we cannot get our Gizzy back, we know she is in a better place. Your heartfelt cards and words will always be remembered by both of us. There will be another Jones' dog, it just needs to find us. Since I live up here only in the summer am pretty new to the neighborhood, when my dog was sick I called here for an appointment. They had no appointments and referred me to an emergency hospital when told I 'd rather wait and didn't think he was that sick- they offered to call me if they could figure a spot or get any cancellations they would see me. They called back 20 mins. later and were able to fit me in. They were GREAT! My dog was treated like a king- they were conservative with the treatment and explained everything to me. They gave me my options and even called me the next day to check on him. Tyson responded to treatment and is doing great! Thank you to the staff and doctors! Have had only positive experiences at GWLAH! Very clean facility, friendly and knowledgable staff! Wouldn't go anywhere else! My family has lived in the area since before I was born, has owned numerous pets over the years, and has similarly gone through about a handful of veterinarians. After being disappointed in other veterinarians in the area, we tried Greenwood Lake, which was a bit inconvenient location-wise for us, but we have continued to go here over the years. The building is clean and has a very nice feeling to it, looking like a house from the outside it is very welcoming. And the staff has been the most helpful, from the neutering of our new kitten five years ago to the cremation of our beloved dog. The warm attitude of the staff, being helpful and loving to both us and our pets, has kept us and our furry friends loyal clients. It is with a heavy heart that we're sending you this Email about Reese's. Today, June 29th, we decided to euthanize our beloved dog Reese's and send him home to the Rainbow Bridge. While it was a difficult and painful decision, we feel it was the right one as his quality of life had deteriorated quite a lot these past few weeks. 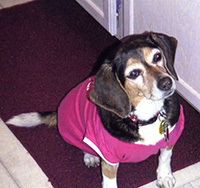 Reese's had almost 17 years with us and was a very important part of our family. Reese's is now in the Ackerman St. Francis Pet Cemetery with the rest of our beloved furry friends. 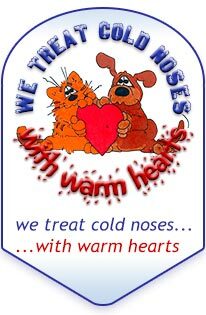 The Greenwood Lake Animal Hospital Staff, Dr. Streng, Laurie & Lynn, were caring and wonderful and we thank them for their compassion. We truly appreciate it and will cherish Reese's paw print forever. So, here's to Reese's, a rescue dog, for his love, loyalty and faithfulness throughout these years. He will be missed. The best vet around. I have come to GLAH for twenty years. They have taken good care of my pets. My cat always gets sick in the carrier - instead of allowing her to sit in her own mess, the staff at GLAH usually clean her off in advance for the exam. Once they even treated my cat for free for a follow-up visit. I drive back here from out of town if I think there is something serious up with my cat. Thank you for your kindness when my Zoey passed away. I appreciate the good care you gave to her all these years. Also, the plaster paw print you made was such a surprise and I'll always treasure it. "As I prepare to leave Afghanistan I have to look back and see... how you have affected my tour in such a big way. Our unit has been truly blessed to have support groups that care for us and our dogs. We have been able to offer a level of service that until we met you guys was unattainable. We have had so many laughs at our dogs getting new toys and kongs. The dogs are so excited every time they come because now we have treats for them every time. The handlers are so grateful to have some help from home. I cannot explain in words what you all have meant to me. All I can say is THANK YOU!! Again, and I can't stress this enough; Thank You all, it brings tears to my eyes knowing someone at home is thinking of us and our dogs! Thank You, I'll be home soon!!!!! Everyone at GWLAH has been wonderful to Madison. I would be remiss however if I did not extend an extra thank you to you. Your care and compassion for Madison over the past ten years has been truly appreciated. We will always be grateful and remember you fondly. When we picked up the cake made by Dr.Louer, we were told that this is the cake he makes for birthdays. Here is a list of our birthdays so we can be added to the list. Judy - 11/3, Donna - 8/9, and Rachel - 6/15. The cake is delicous!!! Hope you (or your dogs) enjoy the treats! It is difficult to find the words to express our gratitude for the kindness you have all shown us during and after the loss of Chyna. 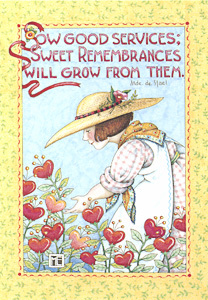 We are so grateful for all the staff has done for us and continues to do especially Tricia and Dr. Streng. The card, paw print and support meant a great deal to us as we struggled with our heart breaking loss. 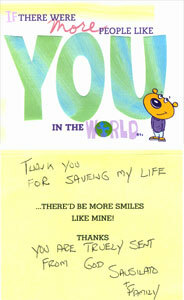 Know that your generosity and thoughtfulness touched us deeply. Knowing that we were not alone helped us bear our grief and sadness. Thank you for being there for us. Hello to All at Greenwood Lake Animal Hospital. I have been a dog owner since I’ve been in New Jersey (1983). When I first needed a vet in 1984, I was recommended to Dr. Paroulek (the then owner of Greenwood Lake Animal Clinic) by a neighbor. It was an instant bond. I have been truly blessed with healthy animals and was actually surprised to see that a Dr. Louër had replaced Dr. Parulek when I again needed a vet. Tiger had a couple of bouts with Lime Disease and was seen by Dr. Streng. My husband and I had adopted Tiger from the Oakland pound in 1998. He was 16 weeks old. 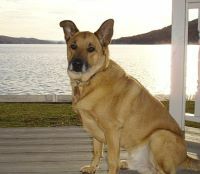 He was a pit bull/German Shepherd mix and was a good and faithful member of our family. It was also fortunate for us that he was a healthy dog and aside from the rabies vaccine, he needed very little in the way of health care. When I had taken Tiger for his rabies shot in October, Dr. Louër said that he saw a tumor on one of his testicles and that testicular cancer was a slow-growing cancer. Last week (on February 6th), I needed to take our almost 14 year old Tiger to Greenwood Lake Animal Hospital as he was vomiting. All of the technicians/receptionists, etc. at the clinic were really friendly and cordial and did their best to alleviate my fears. Tiger was seen by Dr. Louër. It was truly a positive experience. The first thought was that I had changed his food without actually weaning him from the old food that may have caused his symptoms. So we put him on a bland diet of chicken & rice (the dog was in his glory eating “people” food) for a few days and then I incorporated the new dog food. Tiger absolutely rallied. On Sunday night though (February 12), his symptoms came back and as I monitored him throughout the night, I knew that his end was near. I called for an appointment today (February 13) and was told to immediately bring him in. I managed to get him to the car and drive him to the clinic. However, when the techs came to help me get him out of the car, it was apparent that he had passed away somewhere during the trip from my house to the clinic. I have to say that the whole staff at the clinic that I had come in contact with today was absolutely amazing in their compassion and sympathies. Dr. Louër found the time in his busy schedule to speak to me (knowing that Tiger had already passed) and offer his theories and condolences. I am so sorry that I don’t remember anyone’s name to thank them personally, but I want to say ‘thank you’ to all who helped me through this difficult time. Thank you all at GREENWOOD LAKE ANIMAL HOSPITAL. You are truly compassionate people. Thank you for your generous contributions including dental hygiene products for the Military Working Dogs assigned to the 332 ESFG/K9 Kennel that I am assisting at Joint Base Bald, Iraq. Please accept this certificate of appreciation for your participation. I'm writing this letter with a heavy heart and tears in my eyes. 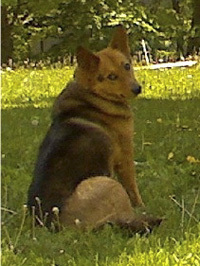 As you already know Niki crossed over the Rainbow Bridge Saturday, January 28, 2012 without warning. She was not only my best friend but the reason for the existence of Support Our 4 Legged Soldiers thru her interaction with that unknown soldier on Memorial Day 2009. 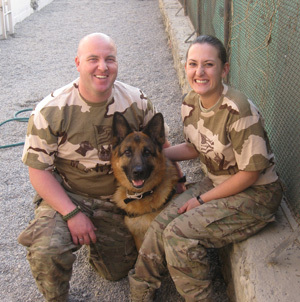 She supported her 4 Legged Heroes and 2 legged partners with dignity, joy and unassuming dedication and patriotism over the past two and a half years, together with Mica, until Mica passed on June 1, 2010. Much of the rest of the story you know as you have generously supported her mission personally and thru your Veterinary Hospital. I have had condolences from almost all parts of the country because of Niki's involvement with SO4LS as she proudly supported her soldiers. I'm sure Niki is up above humbly accepting the praise but as unassuming as she was she is calling for all the praise be given to the heroic Military Working Dogs that gave their all for their country and 2 legged partners. Her passing has had an enormous impact on not only me and my family but on your staff also, of which I am ever so grateful. Some have called her, "My Niki", others could not wait for her to have an appointment so they could try and fatten her up on treats, some just waited for her to make herself at home and stroll in by herself and greet every 4 and 2 legged client as they entered. Whatever staff member she approached showed her as much love and affection as any human could show towards any of God's creatures. Saturday was no exception. As I entered the hospital with Niki she immediately looked as calm as if she was laying in my living room. Lynn immediately came over and gave her a big hug and kiss and was rewarded with one of Niki's many licks. Jess came in and also greeted Niki with hugs. As soon as Dr. Streng arrived Niki was immediately brought into the examining room and given an exam. It had been determined x-rays were in order to try and locate the cause of her problem. Sadly we know Niki's fate that morning. Shortly after her x-rays Niki collapsed and I thank God I was able to be with her and comfort her by holding her head and giving her kisses as she looked into my eyes to say goodbye before she crossed over the Rainbow Bridge as God took her back into His ever loving arms. Niki was a unique dog. From being abandoned long ago and being entrusted into my family, to the joy and comfort she always brought to us and so many others, to her support of her 4 Legged Soldiers but as unique as Niki was so too is your Animal Hospital. The care and love each and every one of your staff has for the animals they care for is shown in every one of their faces and attitudes. No one should be surprised by the love and passion they possess for God's defenseless creatures because you have chosen them to be at Greenwood Lake Animal Hospital. From the bottom of our hearts I thank you for your love and devotion towards our 4 legged family members. I'm sure Snowy, Mica, CoCo, Sassy and now Niki are up above watching over all of you! It has been a month now since Mica crossed over the Rainbow Bridge and there is not a day that goes by that our family does not think about her. Niki still goes to Mica's crate and bed looking for her and Sassy still looks for her to cuddle at night. Quite honestly I also look for her as I walk up the stairs. 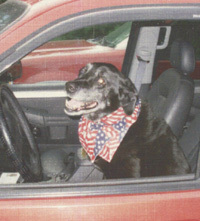 She was always waiting to go for a ride in the truck. Thank you for helping us through one of the toughest times of our lives. If it wasn't for your compassion and sensitivity towards Mica and us letting her go would have been that much harder. God bless you and your staff for everything you did for Mica and continue to do for all God's creatures that enter your door, two and four legged. 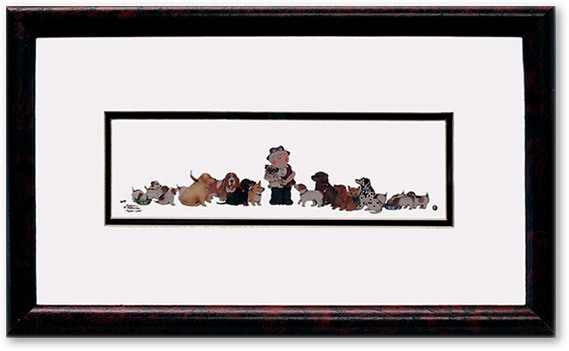 The Yevchak Family - Frank, Pam, Randy, Niki,Sassy, Coco and Spike. ... BIG enough for a truck to fit through! I wanted to write you a short note to let you know how grateful I am that you were there for Cali and me. I can't tell you how much your calm, compassionate and kind manner made such a difficult time so peaceful for us both. 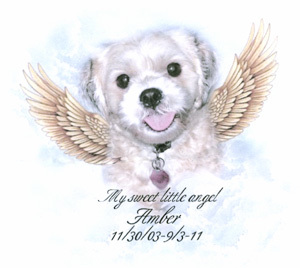 Thank you so much for handling Amber's cremation. The box her ashes came in and the pawprint stone were wonderful. Here is a pic of her when she was alive that I did. She was my constant joy and I miss her terribly. Glad I still have her mother. We want to thank you for your professionalism and the love and care your entire staff have showed us in the last 15 years. You took care of both our dogs, PJ & Ryan from the beginning to the end. A very special thank you to Dr. Janet R. Streng, she always had the right touch or the right words. It was so comforting to know that you were always there. Hi, I’m Chester the Coyote Dog, but I go by Chester. I would like to share a story with you about what happened to me in the past 9 months. 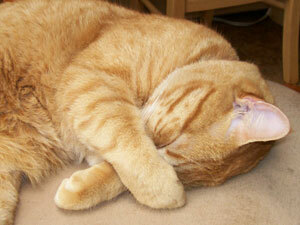 Back at the end of March my owners were going on a school field trip to Florida, and I became sick. So before my owners left they brought me to see Dr. Louër at the Greenwood Lake Animal Hospital. That is when we found out that I had a tumor on my spleen which ended up being cancer. Dr. Louër told my owners that I had to spend the night and have surgery in the morning. Thanks to Dr. Louër and his staff I came through surgery with flying colors. Dr. Louër had explained to my family that he felt he had removed all the cancer, BUT if it came back it would go to my liver. Well at the end of August I had gotten sick again. Dr. Louër did some test and found out that my cancer was back. That was very sad news to my family and I. My family gave me mini goals to look forward to. One was my 14th Birthday. I made it and we had a big birthday party for me. Each month they gave me a different goal. 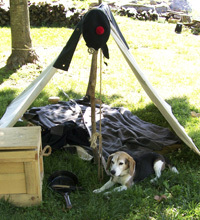 One was in November, when we went to Gettysburg Pa for Remembrance Day (did I tell you I use to do Civil War Re-enactments) I had gotten sick again. Well my family knew that Dr. Louër and the Greenwood Lake Animal was only a phone call away. My family was on the phone so fast that your head would spin. Dr. Louër and his Staff helped my family out and called in a medication that I needed to help through the weekend. I took my medicine and was up and about the next day. I took a long walk in the morning (I enjoyed seeing Gettysburg) and I was able to sit at the roadside and watch the parade. My next mini goal was Thanksgiving, I made it through that fine. Next was my Mom’s birthday. I did that one too. Well of course they told me Christmas was around the corner and I just love Christmas…. I had fun opening up my gifts and enjoyed my family spoiling me. Well then all of a sudden by Monday I wasn’t feeling so hot, I was very tired and couldn’t stand up. Once again my family was on the phone with the Greenwood Lake Animal Hospital. They explained to my family what to do and if I was not feeling any better to bring me in. Well, they brought me in the following day. My family knew in their hearts it was going to be a sad visit. They were told that my condition had gotten worse and I was too weak to continue with my life. So I was put to rest on that day December 28th, 2010. If it wasn’t for Dr. Louër and his wonderful Staff I would not have had the extra 9 months with my family. So I want to say “Thank You” to Dr. Louër and his Staff for everything you did for me and my family. So if you are ever looking for an Animal Hospital I recommend Greenwood Lake Animal Hospital. Did your pet get hurt in some sort of accident? Well if your pet did, the Greenwood Lake Animal Hospital would be the best veterinarian office to go to. Here are some of the reasons why! First, it has to be the CLEANEST office EVER! Second, it has the nicest people who work there, The Receptionists, The Techs, The Boss and well you get what I mean. All the wonderful people who work there are so nice! 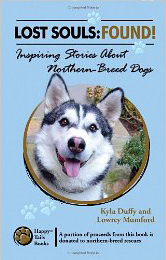 You will be so happy to know that your animal or animals will be in trustworthy hands. Also, the Greenwood Lake Animal Hospital has such a clean and fun waiting room. It is very clean and has many interesting books for little children who are waiting for their pet or pets to get out of their appointment. Lastly, The Greenwood Lake Animal Hospital has such an amazing amount of supplies, like Animal Food, Frontline, Canned Food and Dog Treats! I hope I convinced you to go to the Greenwood Lake Animal Hospital for your next animal appointment. Trust Me! You will be as happy as I am with the amazing Animal Hospital! 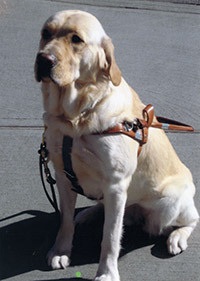 Rosie ~ A Seeing Eye Dog - Rosie was 7 weeks old when she came to us from the Seeing Eye located in Morristown, NJ. She was a 10 pound ball of fluff with a lovely personality. Rosie is a female Goldadore, half Yellow Lab and half Golden Retriever. My husband and I are puppy-raisers for Seeing Eye. 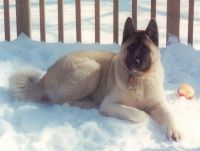 Rosie was a member of our family for 17 months. 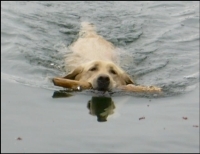 She then returned to the Seeing Eye in Morristown for her formal guide dog training. She was assigned to a trainer for 4 months and did exceptionally well. She passed all required testing, both medical and guide dog requirements with outstanding results. 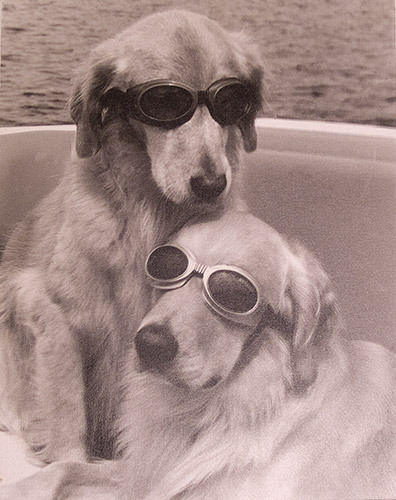 We are very proud that she is now assisting a blind person to navigate the world. We thank Greenwood Lake Animal Hospital, Dr. Louër and especially Dr. Janet Streng who cared for Rosie and donated their services to keep our Seeing Eye puppy healthy and up to date with all her shots. Thank you for the professional and loving care you provided. You were a big part of Rosie's success. We are now raising a new Seeing Eye pup named Gladys, and along with our friends at Greenwood Lake Animal Hospital we look forward to the day she will bring new independence and security to a blind person. Thumbs Up and thank you to all the Vets and the entire staff at Greenwood Lake Animal Hospital for all the care given to our dog, Max, throughout his life and his incurable illness. Thank you also for the compassion given to our family at the time of his death. This is a Thank You Gift from Barbara and Kevin Norton for Our New Office. 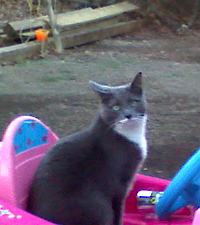 Thank you all at Greenwood Lake Animal Hospital for doing all you could for our cat Harley. We will miss her dearly. Once again thank you for your quick professional response. I want to thank you so much for taking such good care of me. I'm very happy that you removed the big cyst. I can run around, play and get around so much better without it. I feel like a million bucks! I also wanted to tell you that both my mommy and daddy are very happy that I am feeling so much better. They think the world of you and your entire staff! Everyone there is so helpful, sweet and very caring and that is very important to them! Well - I got to go - It's Dinner Time! Thanks again! 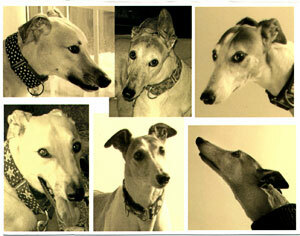 We want to thank you for so many wonderful years of helping us to keep Doogie healthy and happy. 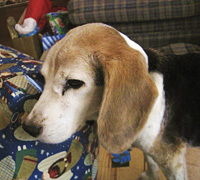 We wanted you to know that Doogie passed away on 11-6-2005 at the awesome age of 15 1/2 years old. 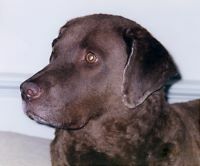 He was a great dog and he brought us tremendous joy which far outweighs the grief we are experiencing now. You guys are the best and very much worth the ride - since we've moved. We hope to see you again whenever the time is right for a new pet. Hi - This is Jesse James. He is the baby of Brian & Liz Chiandusse. Your nice doctors helped him with a bad ear infection!! He's all better now! Since I once worked for GWLAH you might think that I am biased, but you can not know any business, organization or doctor's office until you have gone behind the "employees only" door. To say that the doctors at the GWLAH are compassionate and caring is the grossest of understatements. Every pet that sniffs through that door becomes part of the family. The entire staff rejoices when a life is saved and equally mourns when one is lost. When you bring your pet to one of these doctors, you know that they are not just following a checklist to diagnose an illness. There is an expertise that comes from experience and open mindedness that is not present in other animal hospitals. The people of West Milford and the surrounding areas are spoiled because they have this truly best kept secret within arm's reach. Once you travel outside of this area and deal with another vet for whatever the reason, you then realize the treasure that is the Greenwood Lake Animal Hospital. Thank you for always being there for us. To all of Ajax's friends and family: Our great constant friend and companion, Ajax, suddenly went into kidney failure three days ago and we had to put him down yesterday. It appears that he contracted Lyme disease even though he had the vaccine (which is only 60% effective) and was asymptomatic as far as we saw. It seems that the disease immediately attacked his kidneys. He loved you all in his sweet, wonderful and sometimes rambunctious way. He brought us joy every day of his life. To the entire Staff at the Greenwood Lake Animal Hospital, My husband and I would like to thank you for always being there for us! We will forever be grateful for everything you did for Bonsai. We wish you all many, many years of health and success! I just want to thank D.V.M. Louër and the staff in Greenwood Lake Animal Hospital for taking care of my precious dog "Pisco" on 1/12/07. 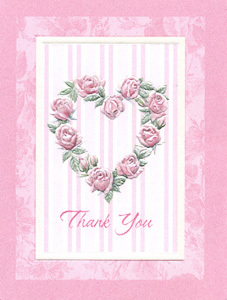 Thank you for the lovely card. It meant a lot to us. My husband and I are grateful for all the care and love you gave to our beloved Marcus. I know that he too was grateful for all the love you all showed him. 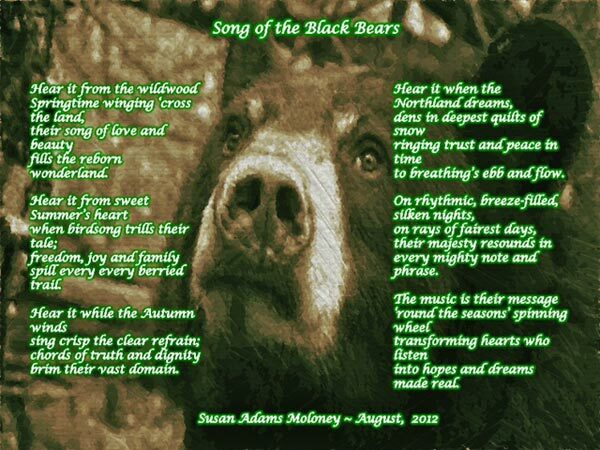 Not only will Marcus be waiting to greet us at the Rainbow Bridge, but he will be waiting for all of you as well. My name is Mollie. 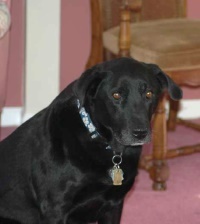 I am a 11 year old Labrador Retriever. I have been a patient of Dr. Louër since I was adopted by my family in 1998. I became very ill while vacationing at the Jersey shore on July 3rd. Due to my emergency, I had to go to another doctor at the beach. This Doctor did not know me and diagnosed my illness incorrectly. Lucky for me my family brought me back home to Dr. Louër. Dr. Louër diagnosed me with pneumonia and saved my life, once again. I am very grateful to Dr. Louër and his wonderful staff. Their kindness, professionalism, and dedication to animals like myself is heartfelt.